We offer a selection of new and vintage furniture, fine pieces with a distinct character that will make their presence felt in your home or office. Our rotating selection includes: sofas and loveseats; dining chairs and club chairs; ottomans, benches, outdoor sets, and more. 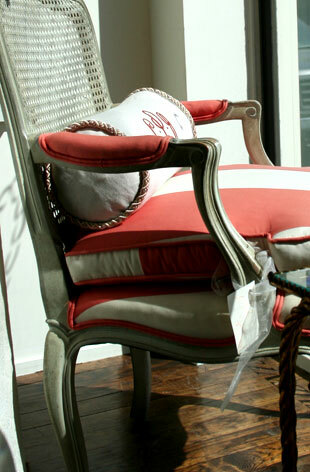 We also have the pleasure to offer the extraordinary line of Ambiente custom painted furniture.